There have been two significant potential discoveries in the world of physics in recent months. Firstly that neutrinos, a type of subatomic particle, seem to have been observed travelling faster than the speed of light, the universal speed limit. And secondly that the Higg’s Boson, another subatomic particle, which is responsible for the mass property of other particles, may have been discovered. 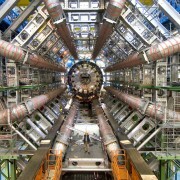 In both experiments, one possible outcome could be the catalyst for a radical rethink of current standards in physics. In the event that neutrinos are travelling too fast, this would undermine the principle of relativity: a principle that has been the cornerstone of modern physics for a century and without which would leave a giant void in our understanding of the basic laws of the cosmos. 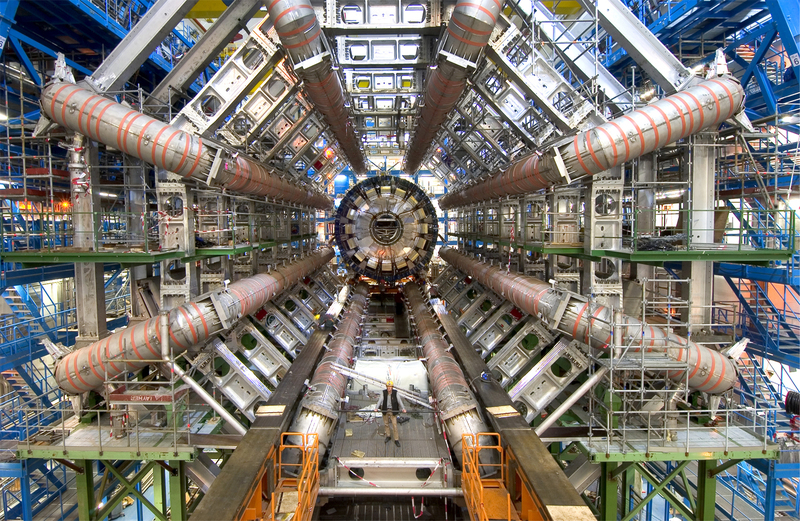 If the Higg’s Boson is not discovered, then this would cast doubt over the standard model of particle physics which has been used for decades. Though this latter theory has several arch-rivals who would in a moments notice take up the limelight. In extremely generalised terms, a group of people who thought something to be true are now faced with the prospect that it might not be. What is their reaction to this? It is not dismay, nor it is hatred. It is not denial that such new ideas and thinking could be correct. Instead, it is excitement. This is a group of people who would be thrilled to be wrong. So thrilled they would be far more ecstatic if they were wrong than if they were right, simply because then they would have more to do. I’m sure you can see where this is leading, but nevertheless, now let us draw our attention to a different group of people: those with strong religious beliefs. Here is a group of people who have a set of statements that they believe to be correct, and time and time again over the years they have been presented with mountains of counter-arguments. What is their reaction to this? It varies from person to person: dismay, hatred, denial, doubt, fear, and combinations thereupon. The keystone of scientific thinking is that if reason should overwhelm your point of view, you must re-evaluate your position. This is certainly not true in religion. Yet despite this, science is still seen, by a great many, as a comprehensive replacement for their belief system; one which they dislike, but one which they see many others supposedly adhere to. This is not true, since what each domain of humanity offers is entirely different; science cannot answer all the same questions as religion, as its core virtue won’t allow it. However whilst the knowledge brought forward by the scientific process cannot entirely replace that provided by religion, the rational thinking that powers it can certainly replace any irrational thinking embodied within religion. But it is this irrational thinking that is so characteristic of religion, and so uncharacteristic of science. One mental faculty is being replaced by its opposite: irrational thought is being replaced by rational thought. Religion is gradually being replaced, but not by something which is another religion.